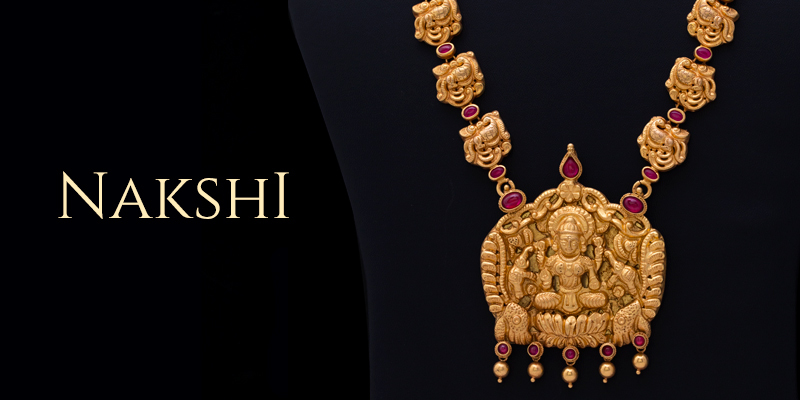 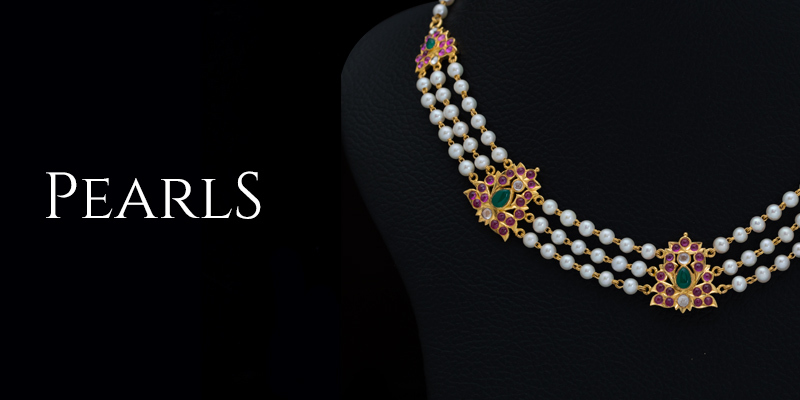 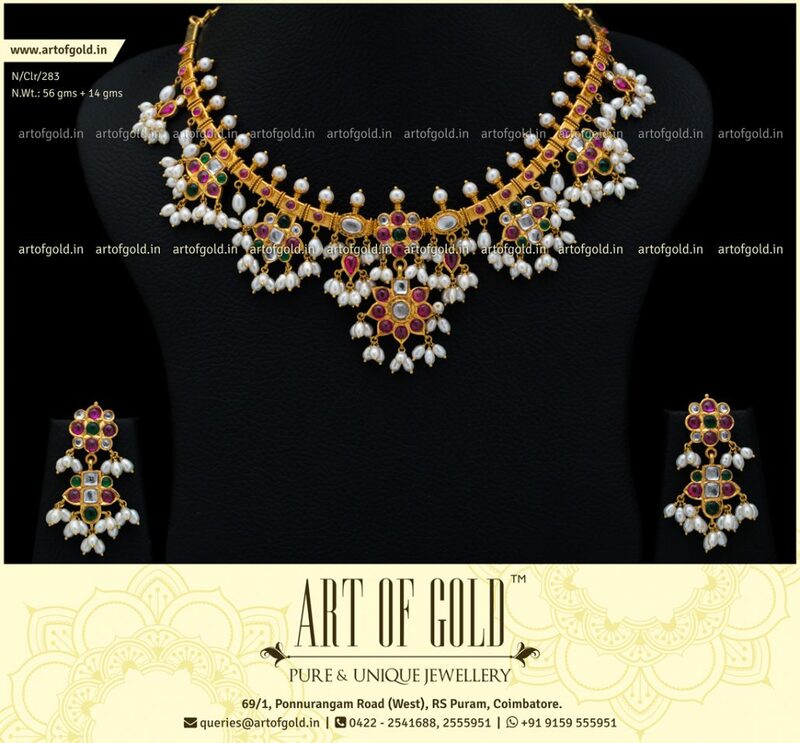 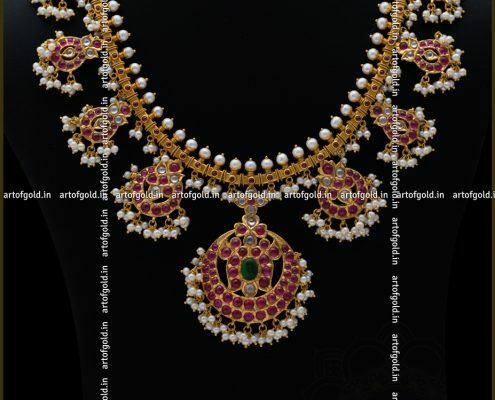 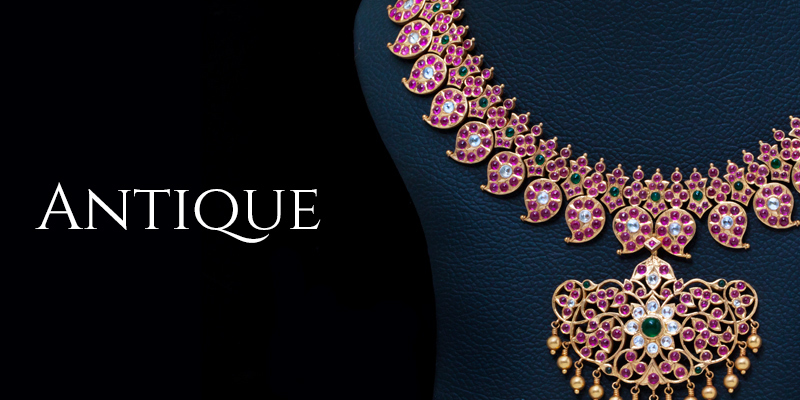 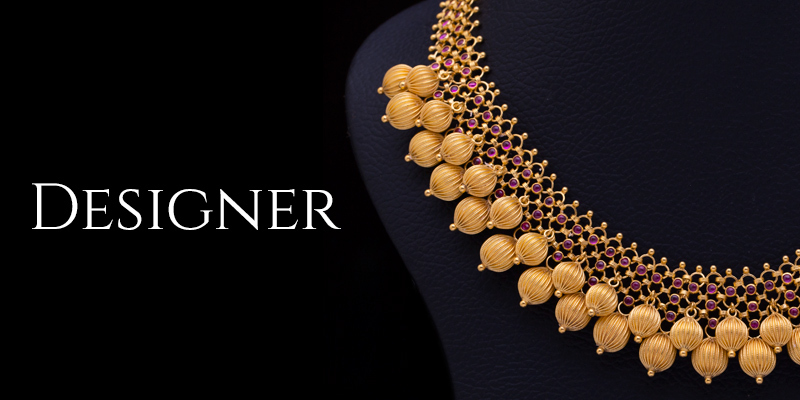 An Antique Guttapusalu Necklace with intricate close setting work studded with Kemp stones. 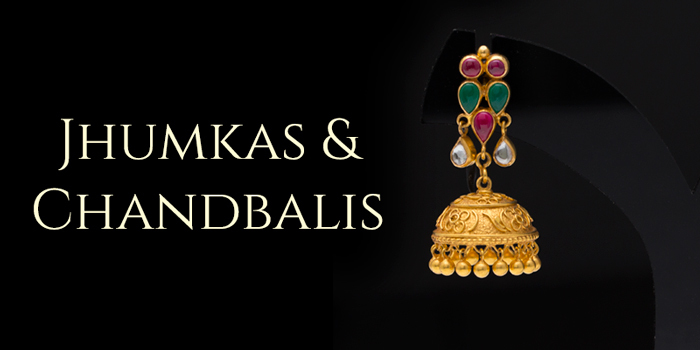 Matching Guttapusalu earrings. 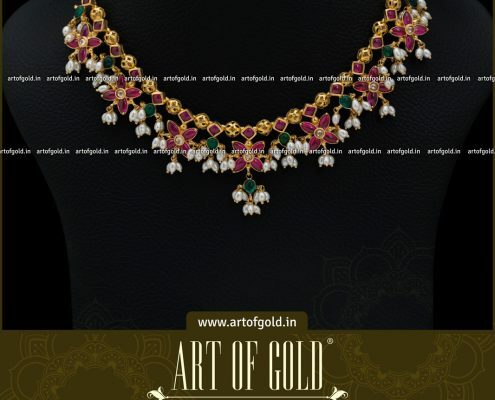 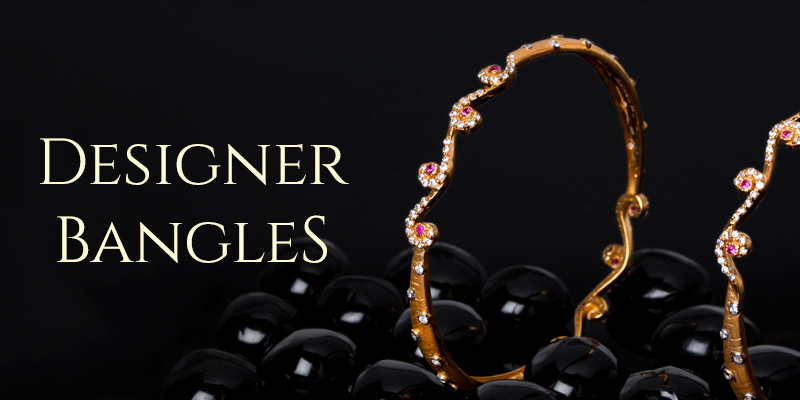 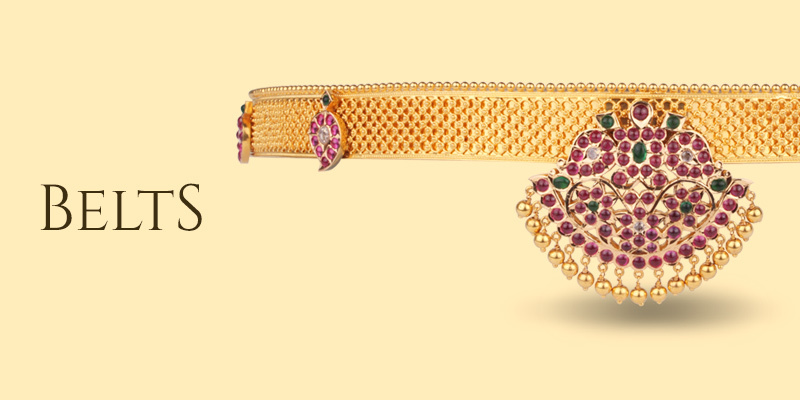 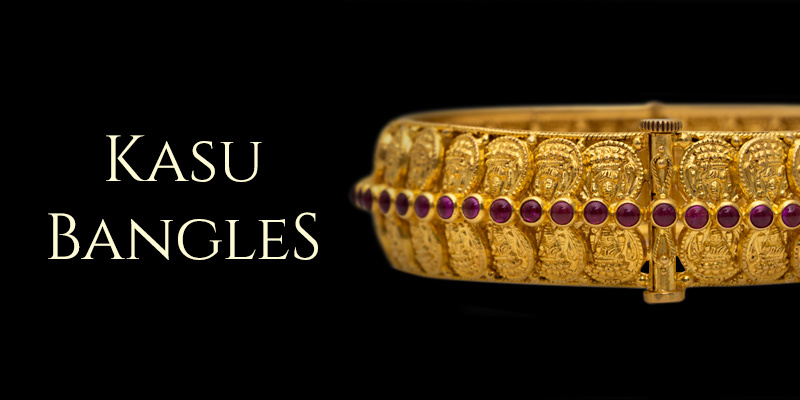 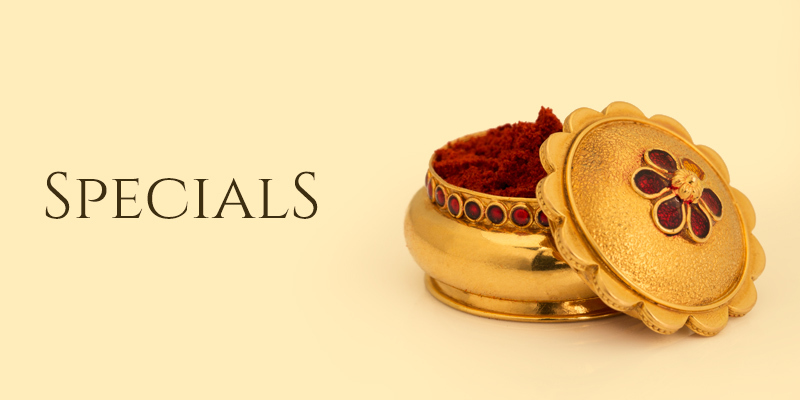 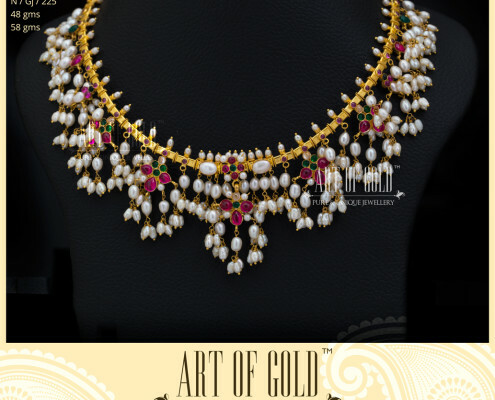 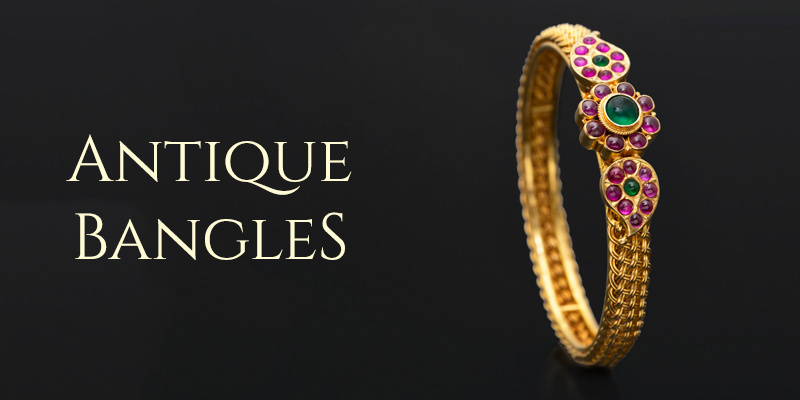 If you are looking for a Light Weight Guttapusalu, check the link below under Similar Jewellery.